sales2018 – Urban Forest Nursery Inc.
Q1 Newsletter-Urban Forest Nursery Inc.
Our Q1 Newsletter is now ready for viewing! Author sales2018Posted on March 12, 2019 Leave a comment on Q1 Newsletter-Urban Forest Nursery Inc.
As with most nurseries, the busiest time of year for us is the spring planting season, which typically begins in February and continues through May. 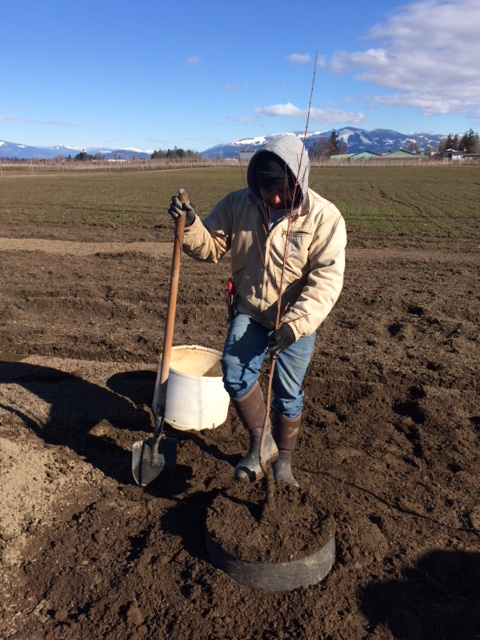 Some planting is also done in the fall, shortly after the fields are tilled and fumigated, readying the grounds for production. 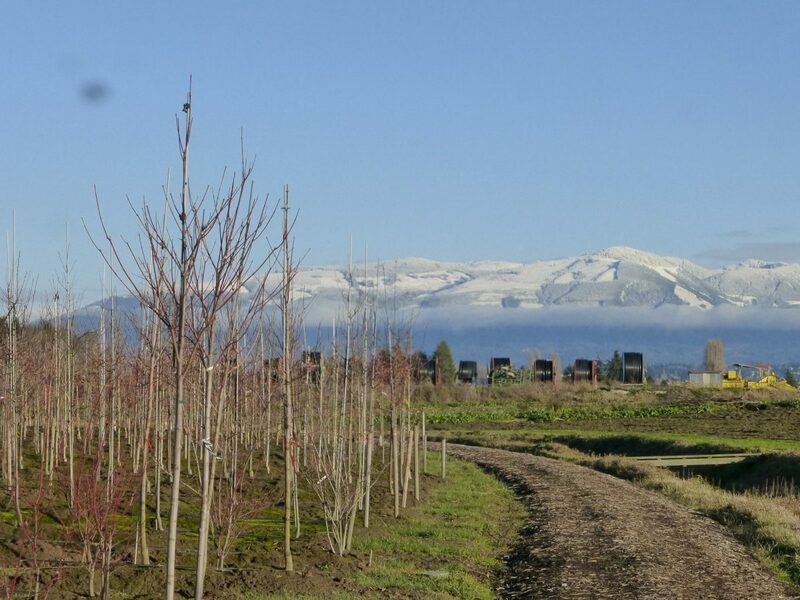 Approximately 7,500 trees are planted annually, a significant increase over the small number we were planting when the nursery was first established. 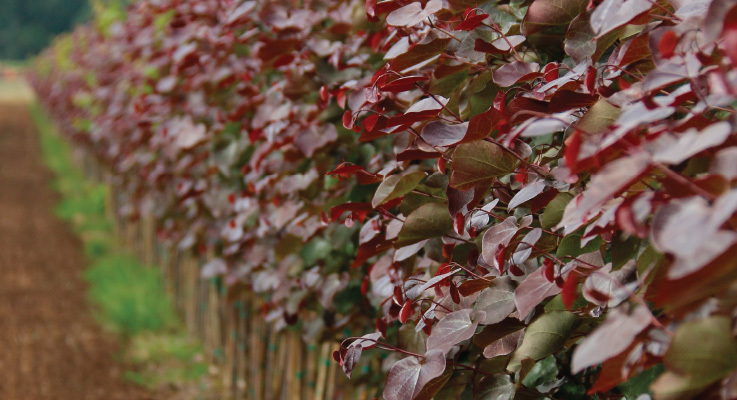 Over the years we have devised a strategic field layout that suits our tree-growing operation. 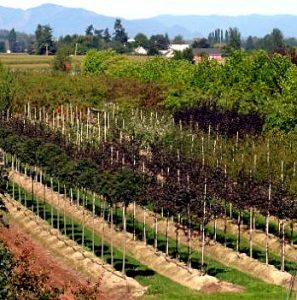 We lay out the field with trees spaced three, four, or five feet apart, depending on the variety, in rows that are eight feet apart. Author sales2018Posted on March 6, 2019 Leave a comment on 2019 Planting has begun! Author sales2018Posted on January 29, 2019 January 29, 2019 Leave a comment on Crowning Achievements! Merry Christmas from Urban Forest Nursery Inc.
Merry Christmas and Happy New Year. This is a special Holiday Greeting and thank you for all the support and business that so many of you have provided this past year. 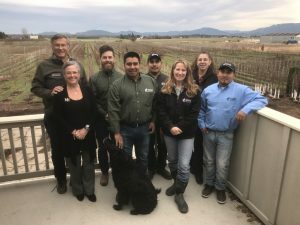 You are helping us to meet our personal goal of providing the highest quality trees with year round employment for our talented and hard working crew. We could not do this without the continual efforts of Clark, Abel, Paulino, Heather, Stacey and Juan (left to right of Jim and Annie). We thank them and all of you this holiday season. We look forward to a terrific 2019. Author sales2018Posted on December 18, 2018 Leave a comment on Merry Christmas from Urban Forest Nursery Inc.
Watering trees sounds simple enough. Surprisingly, it’s not that easy given that new trees die in the landscape from lack of water every year. It has been especially critical this year as the weather continues to get warmer. Here’s the secret: Find a way to get water slowly to the root ball. Use a trickling hose, drip irrigation, a TreeGator or a bucket with a small hole in it. Anything to ensure slow delivery so water can gradually soak into the root-ball. Forget sprinkler irrigation and especially rainfall. We cringe whenever we hear some say, “Oh, I think it’s going to rain soon”. Unless it’s a monsoon, forget any rainfall watering your newly planted tree effectively. 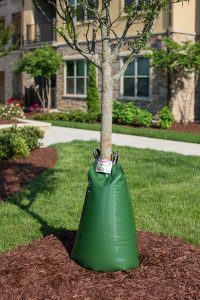 Remember, newly planted trees must live entirely off the moisture in their root-ball until roots grow away to surrounding soils. Give them a chance. Author sales2018Posted on June 29, 2018 Leave a comment on Are Your Trees Thirsty?